Listener Question – Can I Get Professional Quality Results When Mixing “In The Box”? 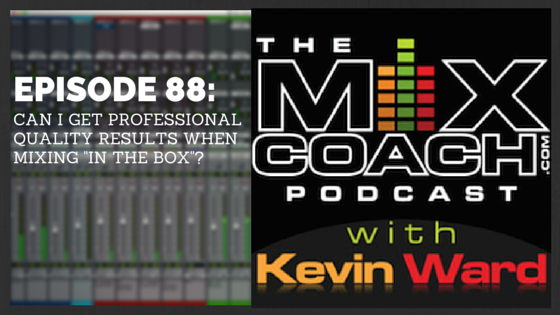 On this episode of the podcast, Kevin takes a question from one of our subscribers asking if it’s best to mix inside the box or outside of the box, and whether it’s possible to achieve professional quality results when mixing “In The Box” (Absolutely!). He also asks what the differences are between mixing In the Box, versus mixing on a console or through an analog summing mixer. How to contain the Low End. How to use a reference track to compare your mix to a really good sounding mix. How to manage phase issues and know when tracks are out of phase.